I started my quest to get in shape when I was 47 weighing 208 pounds, I tried this for 3 years without a trainer, I lost 10 pounds but was far from my goal of abs by age 50. That is when I started working with Brandon. 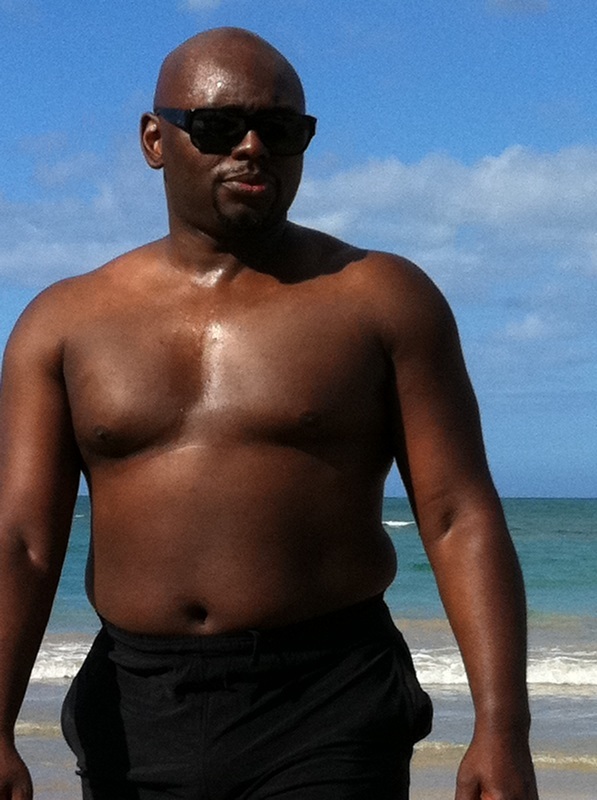 Now at age 53, I weigh in at 178, a full 30 pounds lighter with lost more muscle as an added bonus. Working with Brandon and his focus on strength training has allowed me to build the muscle and burn the fat that has gotten me in the best shape of my life. 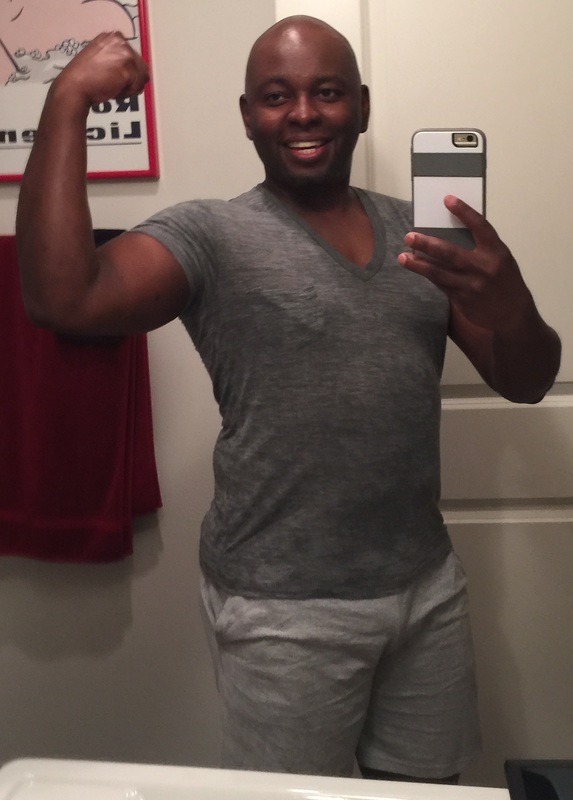 ﻿I used the Team Dunston workout instructions and nutrition guidance for 8 months, and It change my life and body image tremendously. 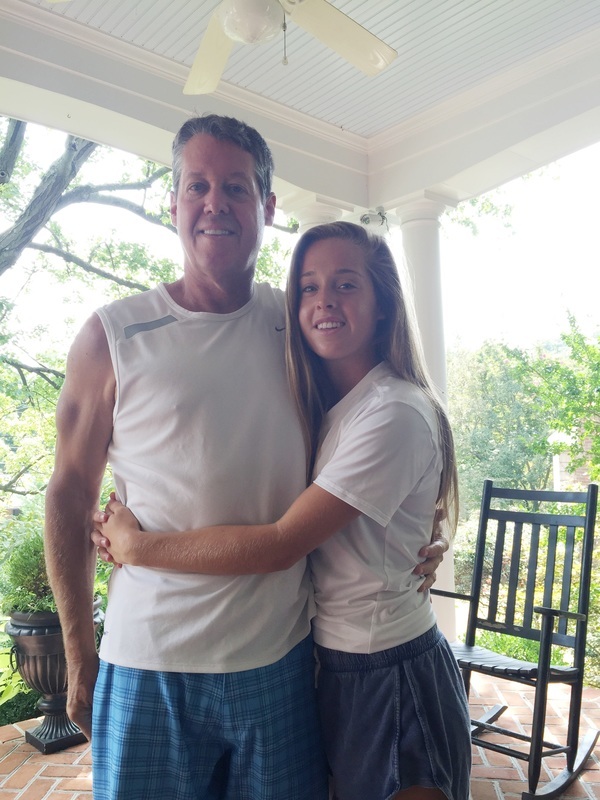 Being over forty; I felt hopeless and as if I was to far gone to get back into shape. 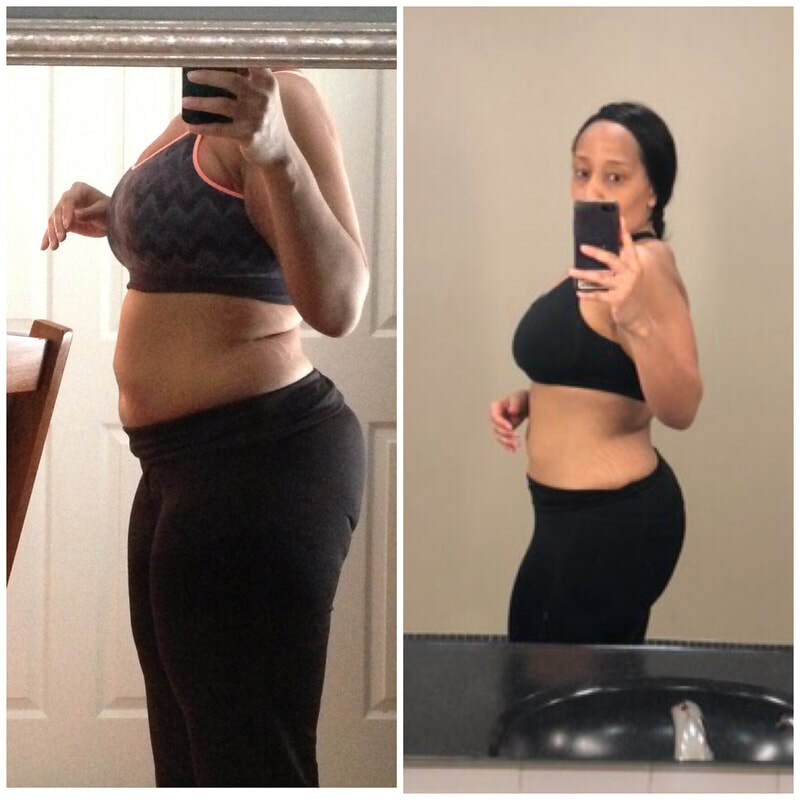 Brandon Dunston used different types of exercises to keep me motivated, and to build my level of endurance, strength, and weight loss week after week. Not only do I have more energy, but I'm pleased with what I see in the mirror!!! ​I started consistently working out almost three years ago but after a year wandering around the gym and doing only a half hour of cardio and going home, I decided to start lifting weights and found Brandon. He taught me everything I needed to know in order to feel comfortable in the weight room and I am now stronger than ever. This year, he really helped me kick things up a notch as I prepped for my wedding. 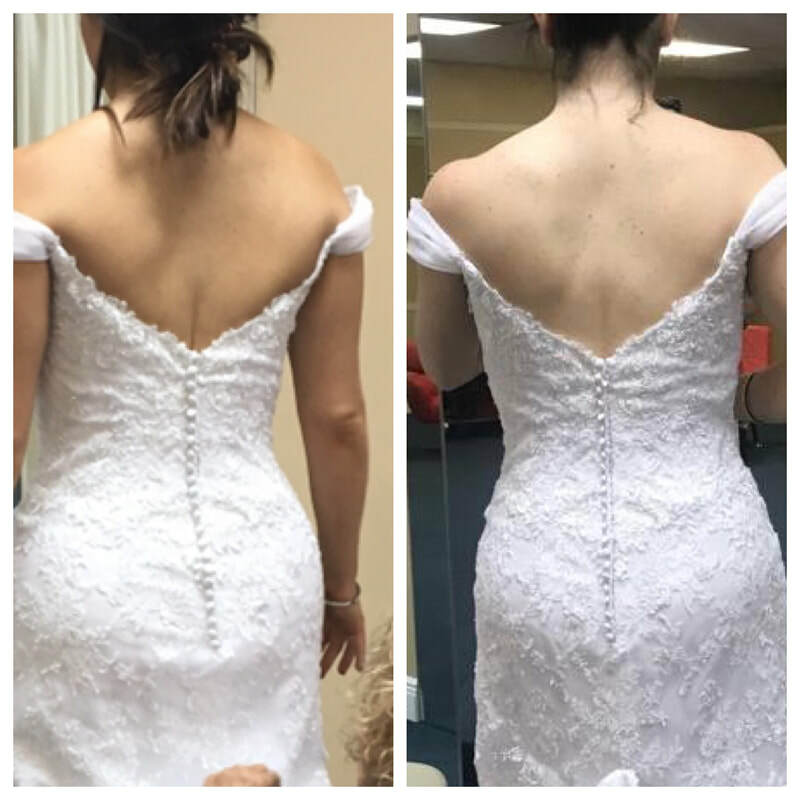 These photos were taken just a few months apart from my second fitting and my final fitting! I am thrilled with the results and I’m continuing to see Brandon now that the wedding is over. He keeps me motivated, challenges me during every workout and I am loving my new, healthy lifestyle. Thanks Team Dunston! Brandon has been a great coach and motivator in helping me reach my fitness goals. It’s great having a trainer who is knowledgeable about both nutrition and fitness and is able to personalize a regimen based on your goals. I have been impressed with his training style and ability to push me beyond my physical limits. Working out with him is always a challenge which has produced the results I've been looking for. When I started working with Brandon I was over 230 lbs. , eating a poor diet, and utterly out of shape. I had tried working out or dieting before but the motivation ran out pretty quickly. Brandon motivated me to change my diet and keep up the work in the gym. I’m now 175 lbs., my cardiovascular condition is light years improved, and three years later I’m continuing to work on my fitness goals. I've been working with Brandon for 2 months and have seen amazing results in that time. I have never felt stronger or healthier. Brandon is passionate about fitness and it shows through the energy and enthusiasm he brings to every session. His easy going, friendly personality creates a relaxed, comfortable atmosphere. He is the perfect combination of tough ("Brandon, you are KILLING me!") and warm, and he works with the whole person. He makes each workout challenging, creative and most importantly, fun! He also places a high value on correct form with each exercise. He motivates me to push past my perceived limits to get results. I have incredible energy, my balance and flexibility have improved immensely and I've got great new muscles. If you are serious about changing your life for the better, Brandon will lead you every step of the way. Thank you Brandon, you are the best!" "Brandon is a skilled professional with a remarkable ability to adapt his training to our specific personalities and workout needs. His confident, yet calm encouragement inspires us to achieve what Brandon believes we are capable of. He's been our individual trainer for more than three years and continues to keep each session fresh - and challenging!"